Interviewed done with one of the very first teacher that started using BISDS Interactive Whiteboard for her Dhamma teaching - Sis Lisa from Revata class.
" I’m very Impressed with the Smartboard’s features, I can draw and write important points on the videos, power points and any documents. I can use different colours/types of presentation for my teaching to make it interesting, and I find it convenient and user-friendly. 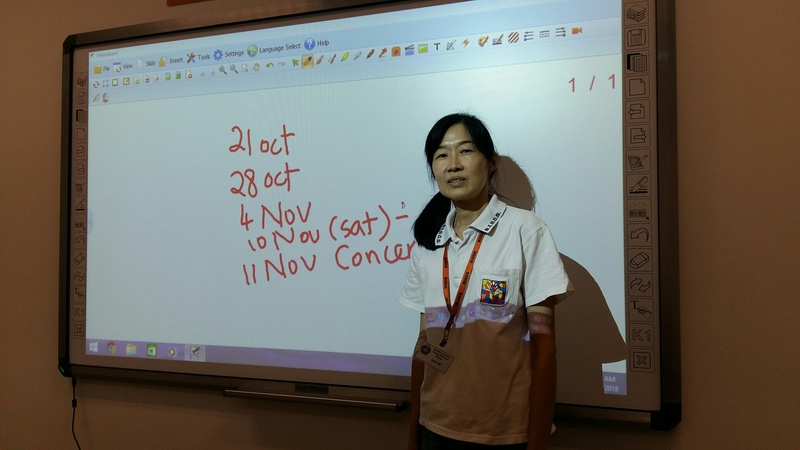 I would like to encourage teachers to use this Smartboard because it is useful for both teachers and students. We just need to have more practice to get familiar with features. This will definitely help to attracts attention from students.” By sis Lisa.